Although the new MD marijuana laws have legalized the use of the drug for certain medicinal purposes, the specific regulations regarding the cultivation, sale, and use of marijuana are still being finalized. The medical marijuana industry in Maryland is expected to significantly expand by 2015. Individuals who are interested in forming a cannabusiness should consult a medical marijuana lawyer in Maryland to help them learn about the new regulations, which include restricting access to the drug. HB 881, which provides for the formation of medical marijuana dispensaries, limits the patients that may have access to medical marijuana. The patient must be a resident of Maryland who is at least 18 years of age. Individuals who are younger than 18 may be granted an exception by the commission if their physicians recommend it. All individuals must obtain a patient ID card and their physicians must recommend the use of medical marijuana for their conditions. A physician can only do so if he or she has a bona fide physician-patient relationship. In addition to these patient regulations, patients must have been diagnosed with a qualifying medical condition . They must have been diagnosed with severe pain, severe nausea, wasting syndrome, anorexia, cachexia, seizures or severe muscle spasms, glaucoma, or post-traumatic stress disorder (PTSD). Any other medical condition must gain approval from the commission. 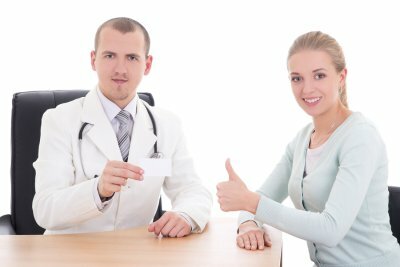 Even if patients meet all of the above criteria, they must still develop a bona fide physician-patient relationship with a physician who has obtained state approval to recommend medical marijuana. The certifying applications for physicians are rigorous. Physicians must detail exactly how they will issue written certifications for medical marijuana for qualifying conditions and upon what basis they might deny certifications to patients. They must also describe how they plan to screen patients for substance dependency both before and after issuing a certification, and they must explain their plans for providing follow-up care and assessing patient outcomes.